Many companies have begun addressing the glaring issue of food waste- from Whole Foods' inclusion of misshapen produce to Starbucks' employee initiated Foodshare Program. As waste continues to be a trending topic for many companies, consumers and restaurants, the tech industry has stepped in to offer new efficient ways of tackling the issue throughout all levels of the supply chain. Takestock: This British online trading platform efficiently connects owners of surplus food with buyers, rather than tossing it. Takestock's auction-like solution allows sellers to list a picture and description of surplus supplies. Buyers can then make an offer. Leveraging tech can unlock the value that is lost due to inefficiency, which is said to be worth more than €20bn across Europe alone. Froodly: Many Finnish retailers are turning to Froodly to expedite sales of produce nearing expiration. 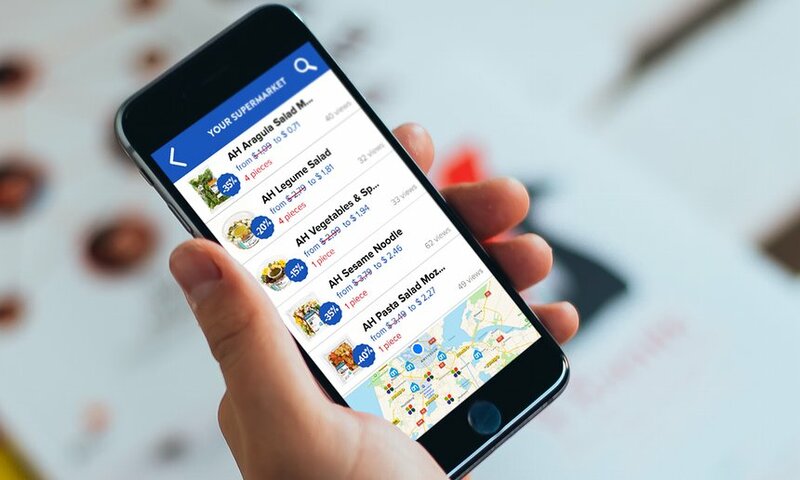 Once a retailer posts a picture of the produce, along with an available discount ranging from 30 to 70 percent, users get an alert via the app when items in their area have been listed and discounted. Cheetah: In some cases, food waste is a result of poor road conditions, inadequate refrigeration and other obstacles. In response to this issue, researchers at the University of Twente developed the Cheetah app. The app shows farmers, food transporters and traders in West Africa the fastest route to market, and even how to avoid roadblocks set up to take bribes from drivers. FoodCloud: Charities in search of food donations can check the FoodCloud app for listings from Supermarkets, farms and food manufacturers. FoodCloud also collects donations and redistributes the produce to homeless shelters and other organizations. Almost 1,200 business and more than 3,600 charities currently use its services. Whether it is the farmers producing too much, retailers overestimating their orders, or supermarkets rejecting produce based on aesthetics, food waste is present throughout the entire value chain. Roughly one third of the food produced in the world for human consumption every year — approximately 1.3 billion tons — gets lost or wasted. With increased access to smartphones and computers, tech may be one of the most effective solutions for all participants of the food supply chain as well as the catalyst to get unwanted food to those who really need it. Homeboy Industries—a nonprofit job-training organization for formerly incarcerated people—just acquired a for-profit e-cycling company, creating a new model of how the two sectors can work together for good. A lazy, middle-class citizen's form of protest—that actually works. Brazil's Makers Society created a sticker to be affixed to the sides of city dumpsters to advertise donation points for people to leave leftover edible food. A 40-year-old Fleetwood Mac song, floating childrens' heads, and hydrogen molecules all kick off the marketing campaign for the 2017 Honda Clarity Fuel Cell hydrogen-powered vehicle. A Scottish couple bakes that renewable energy into tea biscuits along with organically sourced ingredients at their small factory on the island. By 2025, the world's oldest jeans brand will make all of its products from 100 percent recycled cotton as part of an ambitious plan to "close the loop" on its supply chain. In the age of data, businesses are increasingly tracking their customers, using that information to improve the quality and efficiency of their services. Corporations could pay if they wanted to: Instead, they're outsourcing jobs like janitor or cafeteria worker and keeping the savings. Digital payments are going to make a big impact on social and mobile media in 2017, but there are some new fundraising services and niche tools and apps that speak to current fundraising trends in the nonprofit sector. Santa Monica-based Beautify Earth is empowering street artists to use their talent to help end urban decay. Here you'll find a list of best practices used by different non-profit organisations and which may inspire you and your reports.